Below is information to keep in mind when teaching the content in this unit. This material is intended to help teachers consider the complexities of teaching about the ghettos and to deliver accurate and sensitive instruction. During the transitional phase from the beginning of World War II before the “Final Solution” was planned and before extermination camps were built, ghettos were established. This was done in order to isolate Jews from the rest of the population, pending the formulation of a more definitive solution to the so-called “Jewish problem.” At this stage a detailed blueprint for carrying out mass murder did not yet exist; rather, death was a side effect of the starvation, disease, and overcrowding in the ghettos. For instance, more than 80,000 Jews died in the Warsaw ghetto alone. Though there was no plan, there was a wish to solve the so-called “Jewish problem” in some rapid and radical way. It was only in 1941, with the invasion of the Soviet Union, that the Nazis began murdering Jews in a systematic mass fashion, and a project for murdering all Jews only coalesced during the course of the year and into 1942. Students often ask why more Jews did not escape from the ghettos. It is important for students to remember the extenuating circumstances that made it nearly impossible for the vast majority of Jews to flee. While we know the ultimate fate of Jews during the Holocaust, Jews themselves did not know (especially during the early years of World War II when the first ghettos were established) that later they would be shot, sent to extermination camps, or worked to death, especially while German policies of persecution were still evolving and the Germans continuously employed many different means to camouflage their actions. The physical conditions in the ghettos meant that the energies of the Jews were sapped just trying to stay alive. The Holocaust created a world of “choiceless choices.” Every action had a consequence, which, in many cases, became a matter of life and death. For instance, while many Jews may have wished they could escape, they felt a strong responsibility to take care of family members living with them, especially young children and elderly parents. Escape would have meant abandoning these people. The Germans also commonly imposed collective punishment on those who were left behind; so that prospective escapees understood that their actions could endanger the lives of others. Even if there was a way to escape, frequently there was no place to go. Non-Jews living outside the ghetto walls were mostly reluctant to help them, since hiding Jews was cause for severe punishment, even death. It is also important to keep in mind that even prior to the beginning of World War II, Jews who attempted to emigrate from Nazi- dominated Europe faced tremendous obstacles when they sought to leave, due to the world depression, immigration quotas, strict policies toward refugees, and far too often, anti-Jewish attitudes, as well. Overall, most Jews in Europe were trapped at that time. This unit provides students with an opportunity to learn about the ghettos established throughout Nazi Europe and understand that the ghettos were one phase in the continuum of Nazi racial policies that sought to solve the so-called “Jewish problem.” Students will also learn about the conditions in most ghettos and how those conditions severely limited Jewish life and led to feelings of humiliation and loss of dignity. Using several primary sources, students will have an opportunity to learn that despite severe overcrowding, starvation, diseases, and grief, Jews still did their utmost to conduct their lives and retain their human dignity. Explain the aims of the Nazis in establishing ghettos. Name countries in Eastern and Central Europe where the Nazis established ghettos. Describe what life was like for Jews imprisoned in ghettos, with particular emphasis on the Lodz ghetto. Identify ways that Jews forced to live in ghettos attempted to maintain their dignity and preserve some of their previous ways of life. Interpret primary source documents—including clips of visual history testimony—that represent the experiences of those forced to live in the Lodz ghetto. Analyze various ways that individuals respond to unjust actions and the possible reasons behind those responses. 1 Write the word “ghetto” on the board. Have students share what they know about the word and record their responses. Follow this discussion by sharing the history of the word. 2 Introduce students to [L]Joseph Morton[/L] and [L]Ellis Lewin[/L]. As students watch the two clips of testimony, encourage them to listen for specific examples of how ghettos during the Holocaust were different from their understanding of what is referred to as a “ghetto” today. In their testimonies, Ellis Lewin and Joseph Morton share some of their early feelings and experiences in the ghetto. How does Ellis say his life changed after being forced into the ghetto? What does Joseph share about his observations of life in the ghetto? Based on the testimonies you just watched, how were ghettos during the Holocaust different from your understanding of what a ghetto is today? What images have begun to emerge for you about ghetto life after listening to these two testimonies? How do you think Ellis and Joseph felt sharing these memories? How did you feel listening to them? 3 Ask a volunteer to explain (or draw) what Joseph said about the bridge in the Lodz ghetto. Share information about the bridge and show the photograph Jews Crossing the Bridge in the Lodz Ghetto. Ask students to discuss what they think the Jews crossing the bridge were feeling as they looked down upon the scene below. 4 Explain to students that Nazi ideology called for expanding the rule of Germany. After conquering Poland in September 1939 (after already controlling Austria and parts of Czechoslovakia), Germany sought to dominate the whole world along with its partners, and arrange it in a “new order” based on Nazi racial ideology. According to the Nazi racial view, the populations living in Poland were deemed to be Slavs, who were considered inferior and therefore treated as such. 6 Have a whole-class discussion based on the questions below. Encourage students to cite evidence from the text to support their answers whenever possible. What were the Nazis’ intentions in closing Jews in the ghettos? The Germans wanted to concentrate Jews living in the countryside into the larger cities, and establish ghettos in the vicinity of railroad junctions. What do you think was the purpose of concentrating Jews together in certain central locations? Why did the Germans want to establish ghettos near railway transports? Heydrich writes, “For the time being, the first step toward the final goal is the concentration of the Jews….” What do you think Heydrich meant by “for the time being”? What do you think Heydrich meant by “the final goal”? Why did the Germans establish a Jewish Council, or Judenrat, in each ghetto? What are some possible reasons why the Germans themselves didn’t govern the ghettos? How might the establishment of a Judenrat have given Jews in the ghetto a false sense of security? 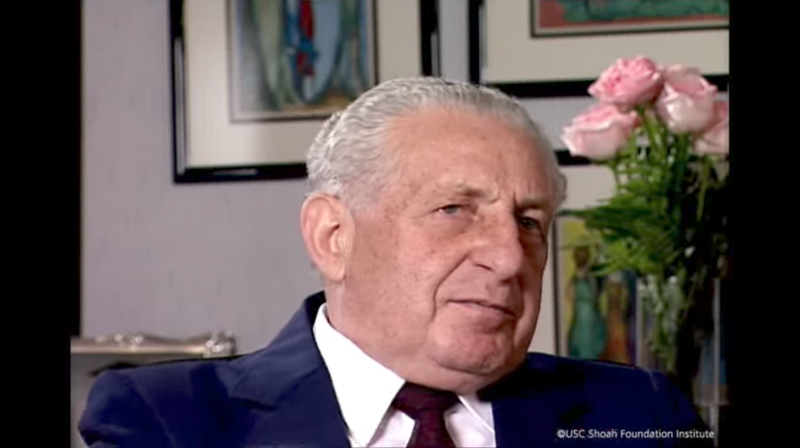 Share the following statement made by Chaim A. Kaplan, a teacher from the Warsaw ghetto: “Ghetto life does not flow-rather it is stagnant and frozen. Around us-are walls! We have no space, we have no freedom of movement and action.” What is the main feeling that emerges from hearing this passage? Identify some of the dilemmas that the Jews faced on a daily basis in the ghettos. What were some ways that Jews attempted to keep their dignity and sanity in the ghettos? How does this description of ghetto life compare to the descriptions of ghetto life presented in the testimonies at the beginning of this lesson? Discuss the difference between physical and economic segregation. When people describe a neighborhood today as a “ghetto,” how is it different from the Nazi ghettos? Are there any similarities? Looking at this map, how many ghettos would you estimate were established across Eastern and Central Europe? Why do you think that there were no ghettos in Western Europe? What other observations do you have after looking at this map? 8 Explain to students that they will now concentrate on one ghetto in particular, the Lodz ghetto in Poland. 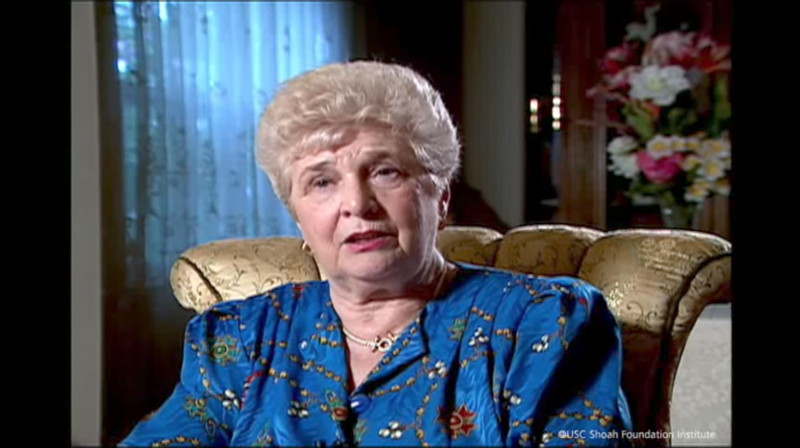 Tell students that in addition to learning background information on this particular ghetto, they will also analyze primary source documents and watch first-person visual history testimonies from survivors of the Lodz ghetto. These sources will provide a glimpse into what life was like for Jews living in ghettos between 1940 and 1944. 9 Distribute a copy of The Lodz Ghetto to each student and read together as a whole class. Follow with a discussion using the questions below. Have students cite evidence from the text to support their answers. Why did the Nazis completely seal the Lodz ghetto? Why did Chaim Rumkowski encourage the people in the Lodz ghetto to work and produce war supplies for the Nazi troops? What was the reasoning behind having children work in the workshops? Why were the city inhabitants hostile to Jews in the Lodz ghetto? How do you feel about the decisions made by Rumkowski? Do you agree with what Zalman Loewenthal wrote that the accusatory finger needs to be pointed at the Nazis? Explain why. 10 Divide the class into small groups and give each group a copy of the following documents: Lodz Ghetto, 1941, Poem by an Unknown Girl, and Poem by Avraham Koplowicz. Provide students with information about the photographer available in the corresponding Note. What specifically do you see in the photograph? What do you think is happening in the photograph? 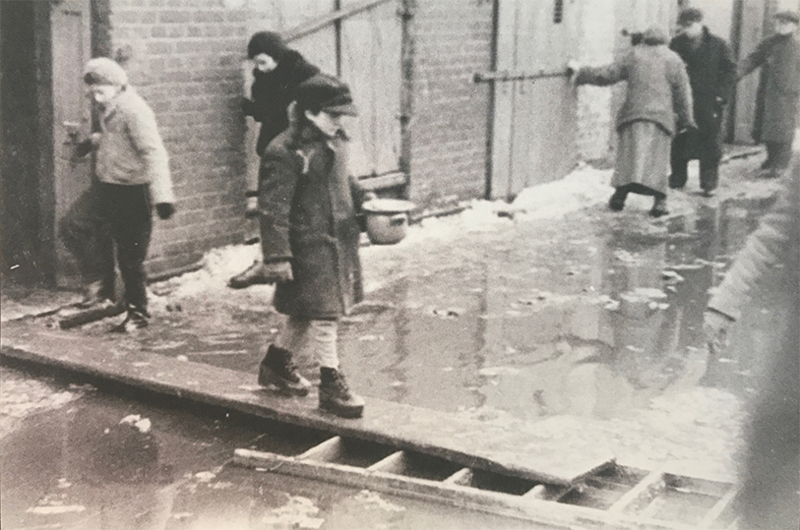 What are you able to determine about life in the Lodz ghetto from studying this photograph? How, if at all, is what you have already learned about the Lodz ghetto influencing your answer? Do you think you would have come to similar conclusions had you seen this photograph without background on the Lodz ghetto? Do you think knowing who took this particular photograph and under what circumstances influenced your reaction or response to it? Is it possible that your response might have been different if you hadn’t known who the photographer was, or if you had assumed it was taken by the Nazis? Discuss your answer. How would you describe the tone of each of the poems? Identify how specific words or phrases have an impact on the meaning and tone of each poem. What is the significance of time in both poems? Which poem talks about the past and which talks about the future? What is Avraham Koplowicz’s dream? 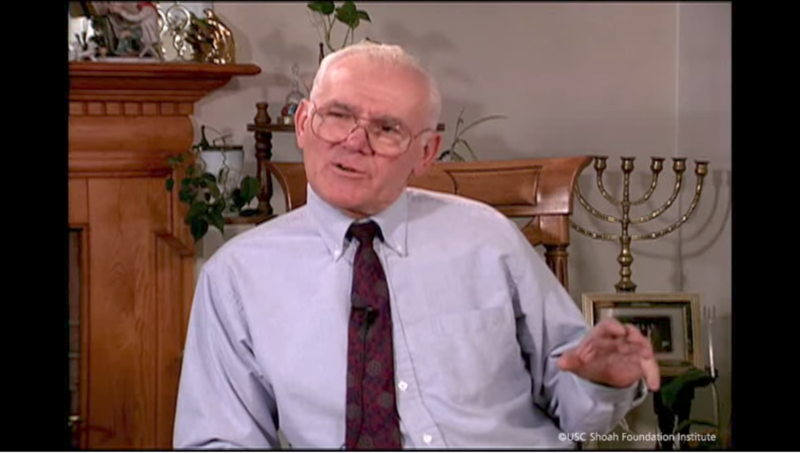 Do you think the dream Avraham describes is figurative or literal? What words or lines in the poem have influenced your answer? Does it appear from reading these poems that both these children believed that they would survive the ghetto? Support your response with specific words, phrases, or lines from the poems. What are your feelings as you look at the photograph and read the poems from the Lodz ghetto? 1 Begin this lesson by explaining to students that the role of the ghetto was to control and confine Jews and that the situation in the ghetto led to Jews being weakened as well. Have students share what they already know about specific ways that the Nazis attempted to control and confine Jews in the ghettos. 2 Instruct students to divide a piece of paper into three columns and label the columns “control,” “confine,” and “weaken.” Introduce students to [L]Leo Berkenwald[/L], [L]Milton Belfer[/L], and [L]George Shainfarber[/L] and then show their clips of testimonies. Have students complete the chart with specific examples they hear in the testimonies about what life was like in the Lodz ghetto. 3 Have students review their charts with a partner, sharing the examples that they wrote down for each of the three categories. Encourage students to discuss differences and similarities in their answers and also consider how some of the experiences that the survivors discussed might fit into more than one category. 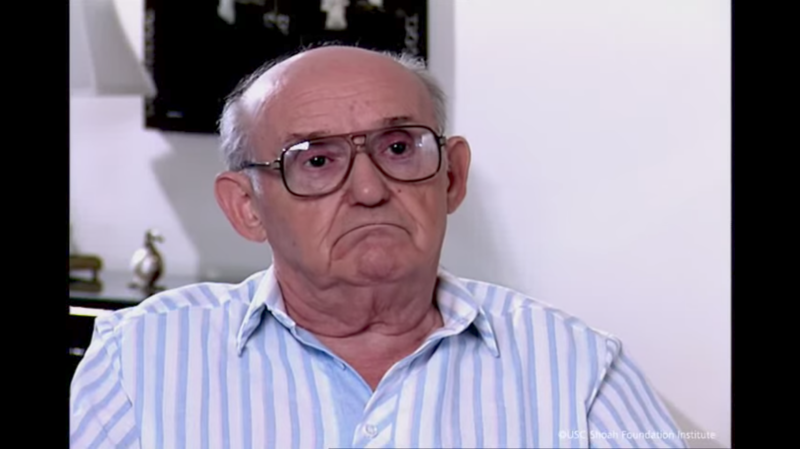 Leo Berkenwald lived within the confines of what would eventually become the Lodz ghetto. Even though he was still living in the same city, how did his life change once the ghetto was created? 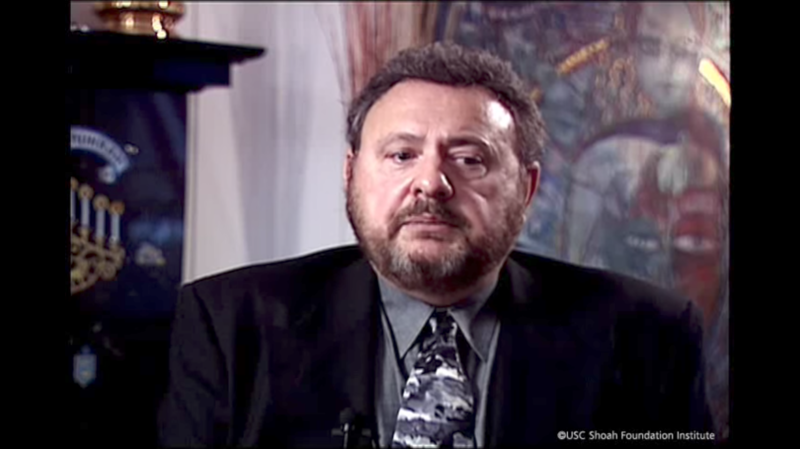 What does Milton Belfer’s testimony add to your understanding of life in the ghetto? What does Leo’s add? What role did food play in George Shainfarber’s experience in the ghetto? 4 Show students Diary Entry from the Lodz Ghetto and read the entry together. Have students identify examples from Josef’s diary entry that also illustrate how the Nazis controlled, confined, and ultimately weakened Jews forced to live in the ghetto. 5 Ask students to review what they have learned thus far about what life was like for children in the Lodz ghetto. Introduce students to [L]Eva Safferman[/L], [L]Ellis Lewin[/L], and [L]George Shainfarber[/L] and then show their clips of testimony. Follow with a discussion using the questions below. What are some specific things that you learned about what life was like for children in the ghettos from Eva Safferman, Ellis Lewin, and George Shainfarber? Would you describe their behavior as uncharacteristic for most children? Why or why not? What were some of the ways in which families and neighbors tried to cope with circumstances in the ghetto? NOTE: To learn more about what life was like for children in the ghettos, see the Jewish Resistance and The Children and Legacies beyond the Holocaust units. 6 Explain to students that one of the diaries discovered after the city of Lodz was liberated on January 19, 1945 was the diary of a teenager named Dawid Sierakowiak. Distribute Excerpts from The Diary of Dawid Sierakowiak and read the background information. Read as many of the entries as possible. 7 Have a discussion using some or all of the questions below. Whenever possible, students should use specific examples from the primary sources they have investigated in this lesson to support their answers. What do you learn from reading diary entries and listening to testimonies that is different from what you learn from a textbook or informational text? How are both types of information useful and necessary when studying a topic like the ghettos? What does Josef Zelkowicz mean when he asks “Do you have any children at all in the ghetto?” What are some examples from the testimonies that illustrate that children felt they could not afford to be children? How do excerpts in Dawid Sierakowiak’s diary substantiate what you heard in the testimonies? What does Dawid mean when he says “Oh, my dear school! Damn the times when I complained about getting up in the morning and about tests. If only I could have them back!” Have you ever had a similar feeling about something? What did school mean in the ghetto? What does going to school represent for Dawid? What are some things that young people you know might take for granted that young people in the ghetto learned to cherish? What do you think Dawid means when he writes, “Humiliation inflicted by force does not humiliate”? Do you agree with him? Explain your thinking or give an example to illustrate why you do or do not agree with Dawid’s statement. Dawid writes, “long live humor.” How does he show in his diary that he had a sense of humor? How do you think it is possible for people to keep a sense of humor during unthinkably difficult times? There are also examples of hope and optimism in Dawid’s diary entries. Point out an example. Explain where Dawid began to lose hope. In his testimony, Ellis Lewin says he believes that the children who were physically able to survive did so because “they didn’t know any better.” What do you think Ellis means by this? Do you agree or disagree with him? Why or why not? 8 End this lesson by having students complete an “Exit Slip”, whereby they reflect on the information they have learned in this lesson and express their thoughts about this new information. In a paragraph, have students respond to the prompt below and submit prior to the next class period. If the “Exit Slips” are submitted electronically, the teacher may wish to post on the class website, blog, or wiki for others to see. 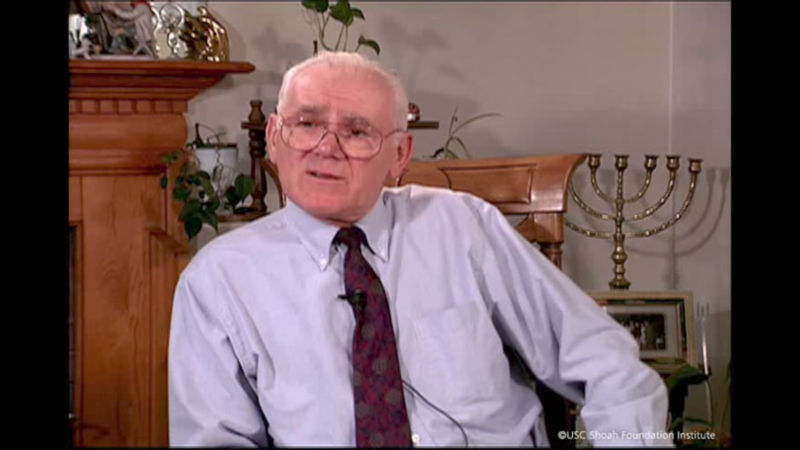 PROMPT: In his testimony, Ellis Lewin states that arriving in the Lodz ghetto was “the beginning of the end.” After learning about the Lodz ghetto through both primary and secondary sources, explain what Ellis meant by this statement not only for him and his family but more broadly for the Jews of Europe. Provide specific examples to support your response. In very challenging times, the importance of remaining hopeful and the persistent belief that one’s situation will improve is crucial. However, this outlook and attitude is difficult to maintain over a long period of time. Do you believe there is a certain point when people begin to lose hope? If so, what do you think that point is? Do you think it is the same for everyone? Has the loss of hope ever happened to you? Have you witnessed it in others? How does a person restore hope? In his testimony, Ellis Lewin talks about what he sees as the only things that have the power to hurt children—losing the comfort of family, being beaten, and being hungry. Do you agree with Ellis’s assessment? Are there other things that you would add to this list? Do you think that the things that have the power to hurt children are different from those that can hurt adults? The establishment of ghettos marked the end of freedom of movement for Jews. Write about what freedom means to you in your life and what you think it would mean to lose it. The additional activities and projects listed below can be integrated directly into the lesson or can be used to extend the lesson once it has been completed. The topics lend themselves to students’ continued study of the Holocaust as well as opportunities for students to make meaningful connections to other people and events, including relevant contemporary issues. These activities may include instructional strategies and techniques and/or address academic standards in addition to those that were identified for the lessons in this unit. 1 Visit IWitness for testimonies, resources, and activities to help students learn more about life in the ghettos. 2 Using information from the Timeline, have students align events happening in Europe and other parts of the world to Dawid Sierakowiak’s diary entries in an overlapping timeline that is presented in a format of their choice. Encourage students to read additional entries of The Diary of Dawid Sierakowiak (Oxford University Press, 1996) to complete this assignment. 3 In this unit, students examined several types of primary sources . Review the potential value of these kinds of sources, and consider how each adds to our knowledge and understanding of the ghettos.. Introduce students to another kind of primary source—artifacts—by showing them the Monopoly Game from Theresienstadt Ask students to study the artifact and consider the questions below. Encourage students to review the definition of Theresienstadt in the Glossary. Even though you did not learn about Theresienstadt in this unit, what knowledge do you have about ghettos in general that you can apply to your examination of this artifact? What do you see on the Monopoly board that provides you with insight into what life was like in Theresienstadt? What is the irony of children in Theresienstadt playing Monopoly? Why do you think the adults in Theresienstadt made this game for the children? What was the artifact that you investigated and what ghetto was it from? Was there any information available about the artifact; if so, what information was supplied? What can be learned about ghetto life by studying this artifact? Reflect on the experience of locating and studying an artifact. How was the experience different from studying secondary sources? How, if at all, was it different from studying other types of primary sources? What is the tone of this poem? Identify how specific words or phrases have an impact on the meaning and tone of the poem. Why do you think the poet said the butterfly “wished to kiss the world good-bye”? What has the poet found to love in the ghetto? What is the significance of the line, “Only I never saw another butterfly”? Do you think the poet is hopeful that he will one day leave the ghetto or is he resigned to his fate to remain “penned up,” or worse? Explain how you reached your decision. Study the painting by Liz Elsby that is paired with this poem. Describe specific techniques that the artist uses in the painting and why you think she chose those techniques when creating a painting to accompany the poem. In your opinion, is this painting a good representation of the poem? Why or why not? 5 Have students research the role that music played in the lives of Jews forced to live in the ghettos. In particular, have students research one of the following ghettos: Kovno, Vilna, or Lodz. Among other sources, encourage students to refer to Yad Vashem’s Heartstrings exhibition. Have students prepare and share an oral or multimedia report on their findings. "Final Solution of the Jewish Question"